 High Quality Above All Else in Your Practice, Part 2 of 2 - ONRAD, Inc. Diagnostic Imaging | Quality is in the eye of the beholder. Clinical image interpretation is paramount as we’ve talked about before. But there are other aspects to demonstrating quality for your partners. Slow service is poor service. We want accuracy, but delivered as fast as possible. That means improving your TAT, or turn-around time. Most of us are now quite familiar with this. Many colleagues see it as onerous cloud. Don’t look at that way. TAT is an easy mark for you. Set a goal as a group and work toward it. Showing improvement in such numerical ways is also regarded as value added. Look to industry standards for this and target those. Or use historical group or hospital values as a baseline on which to improve. Keep state of the art. Quality includes being up to date. We all realize that is a challenge. I am constantly told of new things that I have not heard about. So what do you do practice-wide? And how do you spin that to be value added to your partners? First, make yourself available for all technical questions and purchases as a consultant to the hospital or imaging centers with which you work. Assign each modality to someone in the group as their area of expertise. Designate them to address questions about protocols and new hardware options. Require them to provide regular, perhaps annual updates about new options. Create a technology committee of two to three individuals who will be leaders for larger purchases. Set aside time for the modality leaders to work with vendors and employ new software. In short, make the center or hospital work better — at no extra charge. And don’t forget to remind them politely that you are! Internally, require CME in areas of expertise from your staff. Create incentives that encourage everyone to attend meetings regularly. Consider an annual retreat where each group member presents relevant new information for the group. Again, rigor such as this lifts everyone, and is something concrete to provide the hospital as evidence of your high quality. Don’t forget about the technical side. This can be one of the trickiest aspects of quality. I have been faced with criticism from administration on several occasions about harsh treatment of technical staff. Invariably this follows after I have admonished them for poor performance.